This haunting novel about the dilemma of passivity vs. passion has become a modern classic. 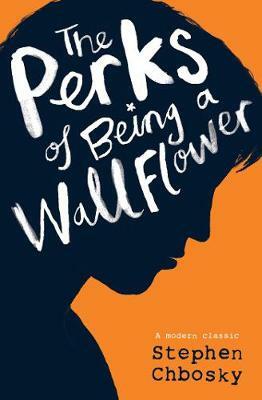 Charlie’s letters are singular and unique, hilarious and devastating and through Charlie, Stephen Chbosky has created a deeply affecting story that will spirit you back to those wild and poignant roller coaster days known as growing up. Right from the start of the book you could tell that something wasn’t right in Charlies life, there were holes in the stories that he would tell but that only left you wanting to read and find out more. This book is mainly helpful because it shines a light on really life situations that never get talked about; like having depression. It shows to you that it is okay to seek help, or go into mental rehab like Charlie did in the end. In my opinion one of the books most important messages is that if you have good friends who can care for and love you, you will find happiness with them, you will feel infinite. A ‘coming of age’ story as told by letters from the protagonist to an unknown recipient.Written in a conversational tone, it is full of inspirational ideas and a resounding message that it is okay to be different and that as long as you actively participate in life you will find a place to belong. Highly recommended.